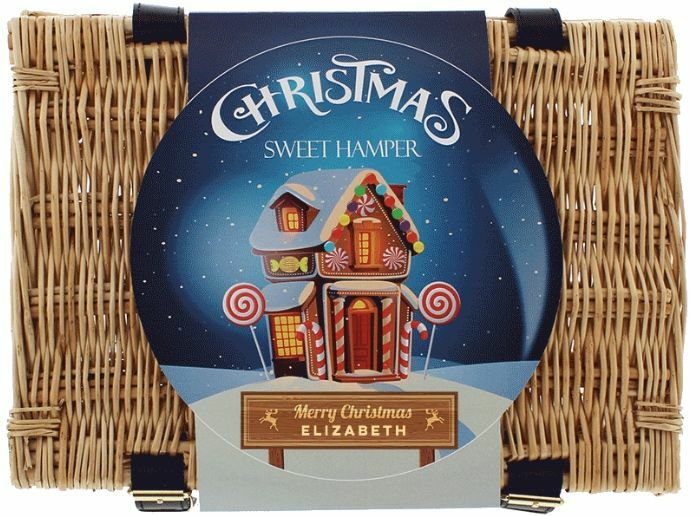 Our gorgeous Christmas Sweet Hamper makes a delicious gift for young and old. The hamper has enough sweets to last the whole Christmas period! 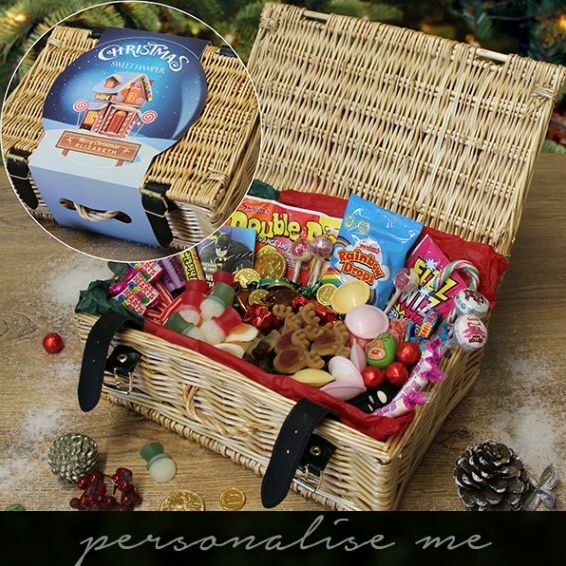 The handmade wicker hamper is crammed full of Christmas confectionery including Jelly Snowmen, Candy Canes, Cola Reindeers, Christmas Chocolates and tons more. The hamper is then wrapped in a Christmas themed card sleeve that can be personalised with the recipient’s name for a special finishing touch... See Product information on How to Order. If you are looking to bulk buy, please contact us directly to arrange your order.